The Clinton Curse. A Balanced Budget vs Foreign Debt. The Clinton Curse: Foreign Debt. 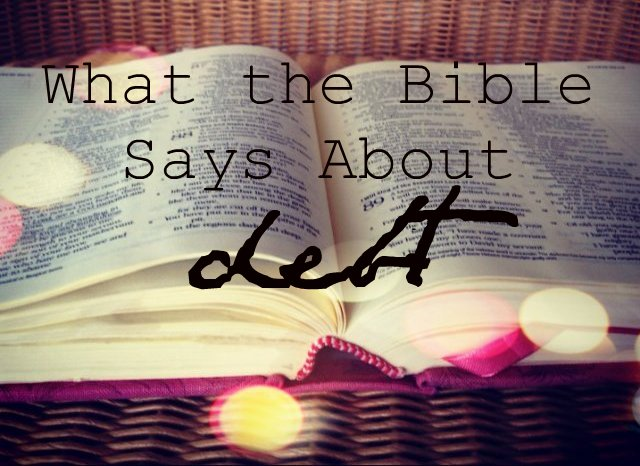 I ask my readers to make the distinction between Budget Deficit and Foreign Debt. I describe the phrase ‘The Clinton Curse’ from my reading the Book of Deuteronomy which specifically mentions the Curse relating to a debt owed to foreign nations. In my analysis, ‘The Clinton Curse’ demands the Repeal of Bill Clinton’s Slavery Law called PRWORA or The Welfare Reform Act of 1996. The Budget Deficit. 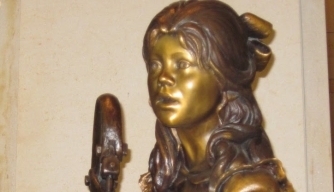 April 2019 Report. 1) The budget deficit grew $146.9 million in the month of March alone. 2) The deficit for this fiscal year is now $691 billion — a 15% increase (or roughly $100 billion) from where we were at this point in 2018. 3) Treasury is projecting that the deficit will surge over $1 trillion by the end of the fiscal year in September. “Nobody cares,” White House chief of staff Mick Mulvaney reportedly told a group of Republicans who wondered why President Donald Trump wasn’t going to mention the ever-growing deficit in his State of the Union Speech earlier this year. So, well, it hasn’t turned out that way. At all. Here’s the kicker: Trump isn’t likely to pay a price — either within his own party or the broader electorate — for the soaring deficit. Less than 50% of people in a January Pew poll said that lowering the federal deficit should be a top priority of Washington policymakers. 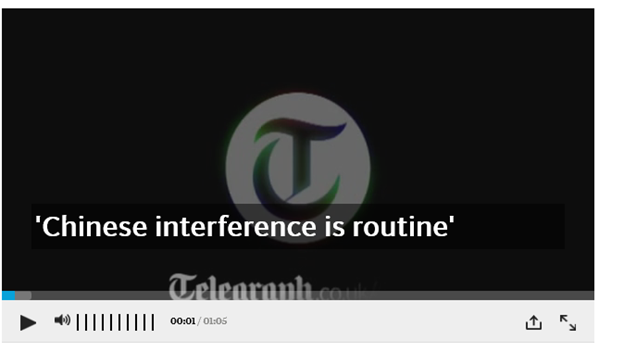 That’s down, rapidly, from 72% who said the same earlier this decade. The Point: Deficits have lost their salience as a political issue. But that doesn’t mean they are going away. And, at some point, our political (and economic) systems will be forced to deal with our growing mountain of debt. How the U.S. Deficit and Debt Are Different? The U.S. budget deficit was $211 billion in August 2018. That’s much lower than the record high of $1.4 trillion reached in FY 2009. The U.S. debt exceeded $22 trillion on February 11, 2019. That’s more than triple the $6 trillion debt in 2000. Foreign debt is an outstanding loan or set of loans that one country owes to another country or institutions within that country. Foreign debt also includes obligations to international organizations such as the World Bank, Asian Development Bank or Inter-American Development Bank. Total foreign debt can be a combination of short-term and long-term liabilities. Also known as external debt, these outside obligations can be carried by governments, corporations or private households of a country. In fact, the national debt went from $4.4 Trillion at the end of 1993 to almost $5.7 Trillion at the end of 2000, U.S. Treasury data shows, a 28 percent increase in the debt over this time when our nation supposedly was running a balanced budget. The reason for the confusion is that the reported budget deficit/surplus does not take into account new debt being incurred by the Social Security and Medicare Trust Funds and other government loan programs. So, when the budget appeared to have gone down by $69 billion in 1998, the national debt increased by $109 billion, similarly, in 1999, the budget surplus appeared to be $126 billion, the actual national debt rose from just under $5.5 trillion to just over $5.6 trillion. The Clinton Curse. Foreign Debt. Sixty Years ago, His Holiness the 14th Dalai Lama survived a very tough ordeal to serve his Land and People to the best of his abilities. 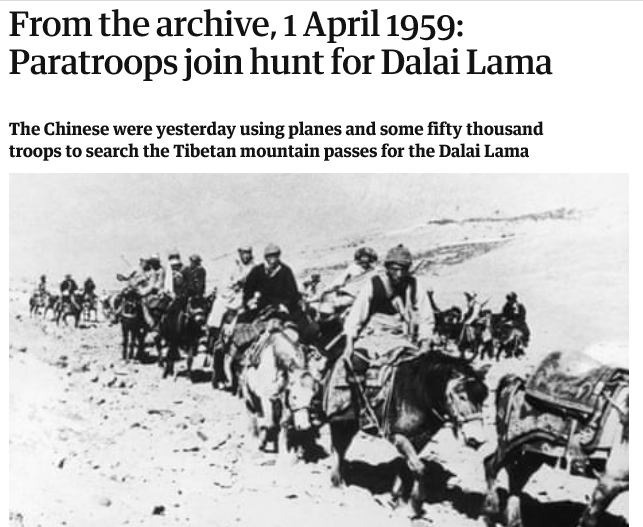 The Chinese were yesterday using planes and some fifty thousand troops, including paratroops, to search the Tibetan mountain passes for the Dalai Lama. But according to reports from Kalimpong, in North-east India, the Tibetan religious leader, moving only by night, was expected to cross the frontier within a few days. Meanwhile in New Delhi, Mr. Silun Lukhangwa, a former Tibetan Premier, said it was hoped to send a delegation to the United Nations to protest against Chinese action in his country. He was speaking after two Tibetan groups had appealed for Indian aid in the crisis in an interview with Mr. Nehru. An Indian official press release merely said: "Mr. Nehru spoke to them briefly, expressing the hope that the present difficulties in Tibet would end peacefully. He made it clear that India was not in a position to intervene and in fact would not like to take any steps which might aggravate the situation there." The Dalai Lama is accompanied on his flight by his mother and sisters, as well as most members of the Tibetan Cabinet, it was learned yesterday. His progress on the 200-mile trek to safety is slow, but it was believed in Kalimpong yesterday that reports that he had been injured in a fall were incorrect. The territory through which he is believed to be moving is the roadless mountainous region of the Tibetan plateau, south-east of Lhasa, bordering Bhutan and the Indian North-east Frontier Agency. The Indian north-east frontier region has been closed to anyone without a permit, and it was stated in New Delhi that no permits could be issued at present. 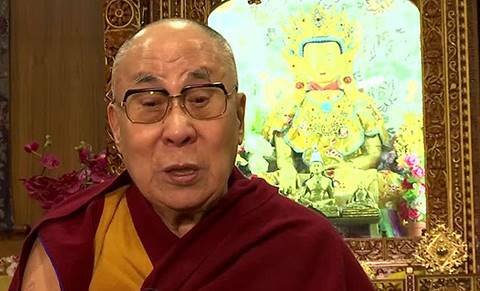 Reports said the Chinese were dropping paratroopers in an effort to intercept the Dalai Lama. Other troops were going from village to village and monastery to monastery "harassing" inhabitants and monks to try to extort information about him. Strong cordons of Chinese soldiers were being thrown round many monasteries, including the one at Rongbuk, near Mount Everest. 1. To lend his active support in securing the personal safety of the Dalai Lama. 2. To send immediately a mercy mission to Tibet with medical supplies. 3. To sponsor the Tibetan cause before the United Nations. 4. To permit Tibetan refugees to cross over freely into India. It was thought in New Delhi that Mr. Nehru might well pass on the memorandum to the Chinese for their information. The Tibetan groups’ leader, Mr. Lukhangwa, told reporters: "The Dalai Lama’s wishes are the wishes of the people of Tibet. Whatever he says, we will follow him." Created with Microsoft OneNote 2016. On March 29, 1973, the U.S. withdraws combat troops from Vietnam after the signing of the Vietnam Peace Agreement in Paris on January 29, 1973. 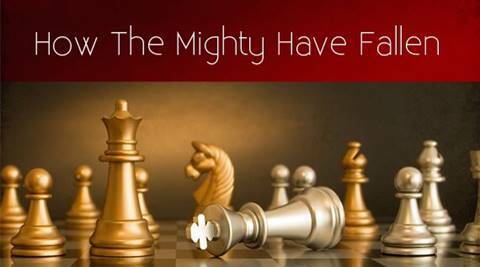 However, the War to contain the threat posed by the spread of Communism to Asia is not over. 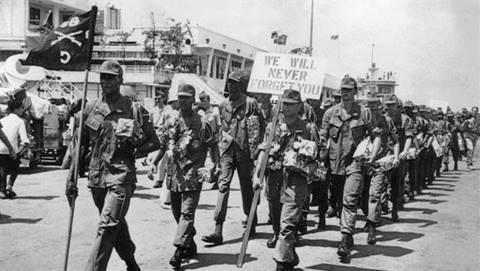 Two months after the signing of the Vietnam peace agreement, the last U.S. combat troops leave South Vietnam as Hanoi frees the remaining American prisoners of war held in North Vietnam. America’s direct eight-year intervention in the Vietnam War was at an end. 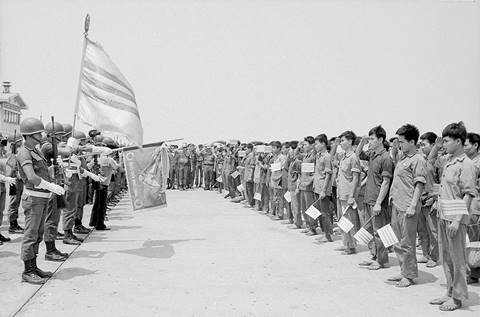 In Saigon, some 7,000 U.S. Department of Defense civilian employees remained behind to aid South Vietnam in conducting what looked to be a fierce and ongoing war with communist North Vietnam. In 1961, after two decades of indirect military aid, U.S. President John F. Kennedy sent the first large force of U.S. military personnel to Vietnam to bolster the ineffectual autocratic regime of South Vietnam against the communist North. Three years later, with the South Vietnamese government crumbling, President Lyndon B. Johnson ordered limited bombing raids on North Vietnam, and Congress authorized the use of U.S. troops. By 1965, North Vietnamese offensives left President Johnson with two choices: escalate U.S. involvement or withdraw. Johnson ordered the former, and troop levels soon jumped to more than 300,000 as U.S. air forces commenced the largest bombing campaign in history. During the next few years, the extended length of the war, the high number of U.S. casualties, and the exposure of U.S. involvement in war crimes, such as the massacre at My Lai, helped turn many in the United States against the Vietnam War. The communists’ Tet Offensive of 1968 crushed U.S. hopes of an imminent end to the conflict and galvanized U.S. opposition to the war. In response, Johnson announced in March 1968 that he would not seek reelection, citing what he perceived to be his responsibility in creating a perilous national division over Vietnam. He also authorized the beginning of peace talks. In the spring of 1969, as protests against the war escalated in the United States, U.S. troop strength in the war-torn country reached its peak at nearly 550,000 men. Richard Nixon, the new U.S. president, began U.S. troop withdrawal and “Vietnamization” of the war effort that year, but he intensified bombing. Large U.S. troop withdrawals continued in the early 1970s as President Nixon expanded air and ground operations into Cambodia and Laos in attempts to block enemy supply routes along Vietnam’s borders. This expansion of the war, which accomplished few positive results, led to new waves of protests in the United States and elsewhere. Finally, in January 1973, representatives of the United States, North and South Vietnam, and the Vietcong signed a peace agreement in Paris, ending the direct U.S. military involvement in the Vietnam War. Its key provisions included a cease-fire throughout Vietnam, the withdrawal of U.S. forces, the release of prisoners of war, and the reunification of North and South Vietnam through peaceful means. The South Vietnamese government was to remain in place until new elections were held, and North Vietnamese forces in the South were not to advance further nor be reinforced. However, the agreement was little more than a face-saving gesture by the U.S. government. Even before the last American troops departed on March 29, the communists violated the cease-fire, and by early 1974 full-scale war had resumed. At the end of 1974, South Vietnamese authorities reported that 80,000 of their soldiers and civilians had been killed in fighting during the year, making it the costliest of the Vietnam War. On April 30, 1975, the last few Americans still in South Vietnam were airlifted out of the country as Saigon fell to communist forces. North Vietnamese Colonel Bui Tin, accepting the surrender of South Vietnam later in the day, remarked, “You have nothing to fear; between Vietnamese there are no victors and no vanquished. Only the Americans have been defeated.” The Vietnam War was the longest and most unpopular foreign war in U.S. history and cost 58,000 American lives. As many as two million Vietnamese soldiers and civilians were killed. As the month of March, Tibet Awareness Month is heading towards its end, I regret to report that The Great Problem of Tibet is still on the Back Burner. 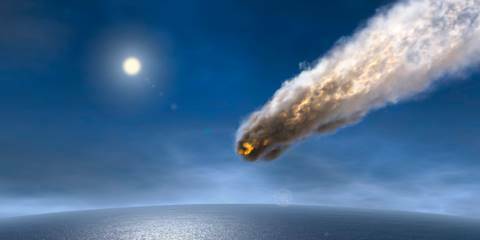 But I am adamantly hopeful for the word ‘EVIL’ means Doom, Apocalypse, Calamity, Cataclysm, and Disaster. 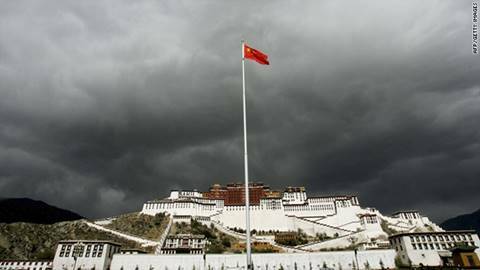 The global attention for Tibet has shrunk but the Evil Red Empire could be rushing ahead to meet its unavoidable Fate. March is a sensitive month in Tibet. In 1959, an uprising led to a bloody crackdown by Chinese forces, culminating in the 23-year-old Dalai Lama’s escape to India on March 17, where he arrived after two weeks of apprehension over his fate. Protests marking the Tibetan revolt were put down in 1989, and most recently in 2008, months before China was set to showcase itself to the world with the opening of the Beijing Olympics. It’s hard to imagine such acts of defiance taking place today. In 2011, Beijing further tightened its chokehold on the autonomous region under the leadership of new Tibet Communist Party secretary Chen Quanguo (paywall), who implemented a vast array of security measures, including the incarceration and “re-education” of those who had returned from listening to the Dalai Lama’s teachings in India. Tibetans were also forced to adapt their culture to party ideology and to learn how to “revere” science, part of Beijing’s ongoing propaganda campaign that portrays its rule in Tibet as a benevolent exercise in modernization and anti-feudalism. 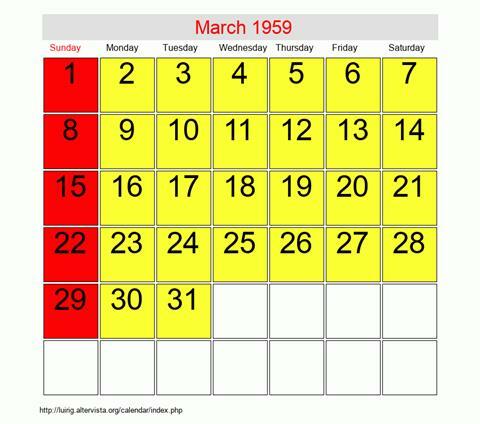 Ten years ago today (March 28), the Chinese instituted Serfs’ Emancipation Day as a holiday to celebrate its program. Smoke rises from burning buildings below the Potala Palace in the Tibetan capital Lhasa during protests on March 14, 2008. “To some extent, China has been very successful in dealing with Tibet,” said Tsering Shakya, an academic at the University of British Columbia in Vancouver. Beijing is applying the Tibet model to another minority considered to pose a danger to the state. In 2016, Chen became party secretary in the Xinjiang region of northwest China, where his Tibetan policies are largely seen as the foundation for repression of the Uyghur minority. Large-scale re-education camps hold hundreds of thousands of Muslims as Uyghur cultural and religious practices face systematic erosion. Advocates hope that growing international awareness over Xinjiang will help rekindle the world’s attention toward Tibet, which has dwindled amid the Chinese Communist Party’s relentless efforts to reshape the global conversation about the region. 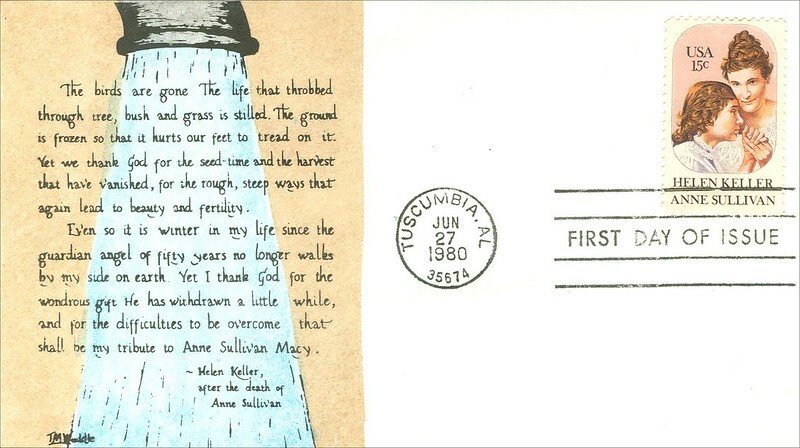 Perhaps the starkest manifestation of that is in the arts. Tibet, once a cause célèbre in Hollywood as the subject of films such as Kundun and Seven Years in Tibet—in which Brad Pitt played the role of an Austrian mountaineer who tutored the young Dalai Lama—is today almost nowhere to be seen on screen. Actor Richard Gere, one of the most well-known celebrities to support Tibetan independence, said in 2017 that he has been shut out of major productions because of his outspokenness. Nancy Pelosi talks to Richard Gere at a memorial event for Kasur Gyari, former special envoy of the Dalai Lama to the US, March 12, 2019. When Tibet is still visible, said Seagh Kehoe at the University of Leicester, it is often in a watered-down and totally depoliticized fashion, as in the animated Rock Dog, a 2016 joint US-China production about a Tibetan mastiff who becomes a music star. Self-censorship over Tibet can be seen at work in London as well, with a West End theater suspending performance of a play about Tibet last year reportedly at the urging of the British Council, the UK’s international cultural organization, which is partly government funded. Following accusations of censorship by its playwright and apologies by the theater, Pah-la is now due to be staged next month. Universities are another important battleground in Beijing’s attempt to mold its narrative. 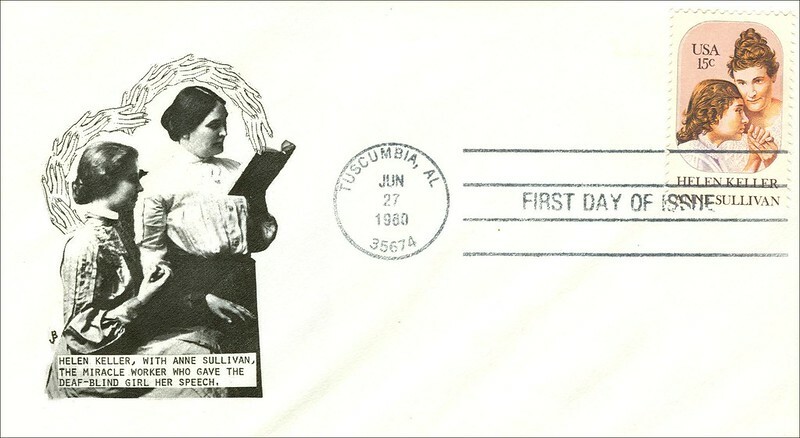 Campus activism in an earlier era was generally pro-Tibetan. That’s changing today with the ballooning number of Chinese students abroad—over 600,000 now compared with fewer than 50,000 in the late 1990s. 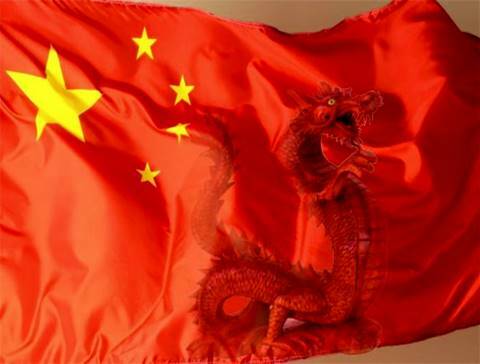 Chinese authorities “see overseas students as allies in their ongoing efforts to counter regime opponents” including groups sympathetic to Tibet, Xinjiang, Taiwan, and the Falun Gong, according to a report (pdf) last year by the Wilson Center, a Washington, DC-based think tank. The report detailed attempts by Chinese officials to put pressure on institutions to cancel invitations to the Dalai Lama and to bring more Chinese delegations to US universities to espouse the Communist Party’s line on Tibet. Draconian restrictions on travel by Tibetans, foreign diplomats and journalists have made getting disseminating information from the region immensely more difficult. Ever-tightening security has eliminated visible, large-scale displays of protest. The “optics of urgency” spotlighting the Xinjiang situation, such as satellite photos of camps and reporting by journalists on the ground, are missing from the Tibet narrative, wrote Gerald Roche, an anthropologist at La Trobe University in Melbourne. The “slow violence” that characterizes the plight of Tibet today, Roche added, makes it harder to get global attention. Armed police attempt to prevent a photographer from taking pictures at the entrance to the village of Taktser, known in Chinese as Hongya, where the Dalai Lama was born in 1935, Qinghai province, China March 9, 2019. Sophie Richardson, China director at Human Rights Watch in Washington, said that spotlighting China’s human-rights abuses in Xinjiang can reinforce mutual support between diaspora Uyghur and Tibetan groups. There’s a common “core pathology” underlining Beijing’s actions in both places, including the “erasing of cultural identities and practices,” she said. Lhamo, the Tibetan student, told Quartz that a growing focus of her activism now involves building ties and sharing information with Uyghurs, Taiwanese, and the Falun Gong. Advocacy groups have also welcomed renewed pressure by the US on Beijing. Congress passed the Tibet Reciprocal Act in December, which denies entry to the US any Chinese official who blocks Americans from going to Tibet. Matteo Mecacci, a former lawmaker in Italy and president for the International Campaign for Tibet, said the bill signals “enduring, bipartisan support for Tibet” in the US. The law requires annual reports detailing access to Tibet for Americans, with the first published this week. The Dalai Lama smiles as he sits on his chair at the Tsuglakhang temple in Dharmsala, India, Feb. 27, 2019. The fight over the Dalai Lama’s succession—and China’s obsessive control over it—could also return Tibet to headlines in the coming years. Amid a flurry of attention this month marking the leader’s 60th anniversary in exile in Dharamsala, the 83-year-old Dalai Lama said in an interview that his next incarnation could be found in India, adding that Beijing is likely to appoint its own successor whom “nobody will trust.” Beijing, which consistently maintains that the Dalai Lama is a separatist, promptly reiterated that the selection of the next Tibetan spiritual leader must follow Chinese law. In my analysis, the Battle for Tibet will not be decided by either Chinese Gun or American Gun. 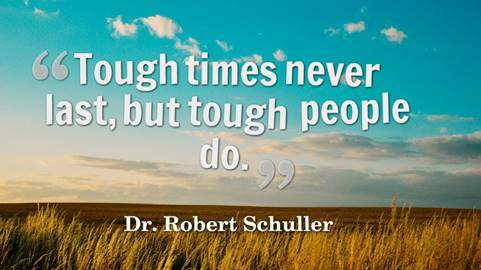 Truth will prevail. China will reap the consequences of her own Evil actions. Tibet’s Identity is shaped by Natural Forces, Natural Causes, and Natural Factors that condition the nature of Tibetan Existence. Nature will unleash physical force to compel China to withdraw from illegally occupied Tibetan Territory. 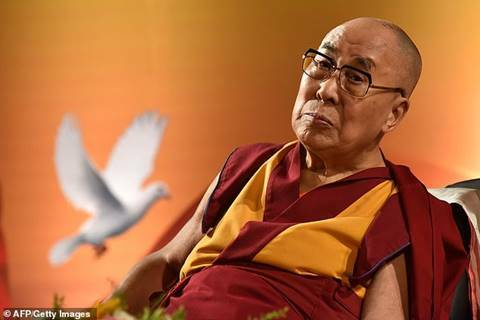 The Dalai Lama, the spiritual leader of Tibetan Buddhism, said on Monday it was possible that once he dies his incarnation could be found in India, where he has lived in exile for 60 years, and warned that any other successor named by China would not be respected. 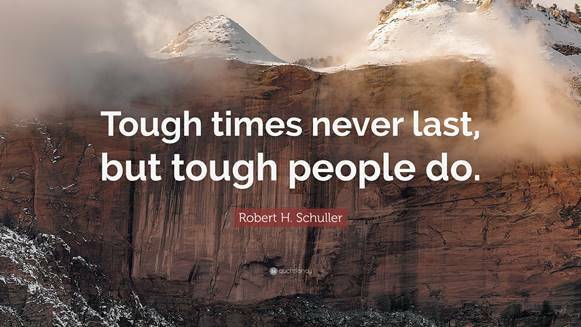 Sat in an office next to a temple ringed by green hills and snow-capped mountains, the 14th Dalai Lama spoke to Reuters a day after Tibetans in the northern Indian town of Dharamshala marked the anniversary of his escape from the Tibetan capital, Lhasa, disguised as a soldier. He fled to India in early 1959 after a failed uprising against Chinese rule, and has since worked to draw global support for linguistic and cultural autonomy in his remote and mountainous homeland. China, which took control of Tibet in 1950, brands the 83-year-old Nobel peace laureate a dangerous separatist. Pondering what might happen after his death, the Dalai Lama anticipated some attempt by Beijing to foist a successor on Tibetan Buddhists. 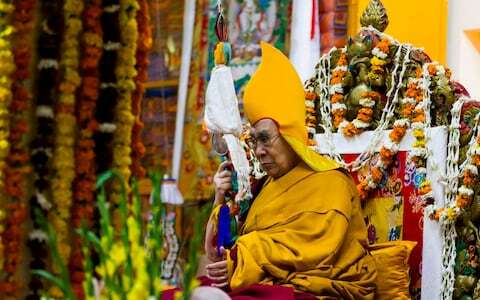 “China considers Dalai Lama’s reincarnation as something very important. They have more concern about the next Dalai Lama than me,” said the Dalai Lama, swathed in his traditional red robes and yellow scarf. “In future, in case you see two Dalai Lamas come, one from here, in free country, one chosen by Chinese, then nobody will trust, nobody will respect (the one chosen by China). So that’s an additional problem for the Chinese! It’s possible, it can happen,” he added, laughing. China has said its leaders have the right to approve the Dalai Lama’s successor, as a legacy inherited from China’s emperors. But many Tibetans – whose tradition holds that the soul of a senior Buddhist monk is reincarnated in the body of a child on his death – suspect any Chinese role as a ploy to exert influence on the community. Born in 1935, the current Dalai Lama was identified as the reincarnation of his predecessor when he was two years old. 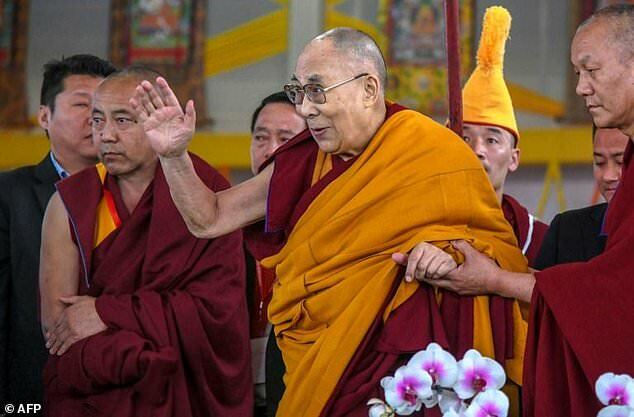 Speaking in Beijing at a daily news briefing on Tuesday, Chinese foreign ministry spokesman Geng Shuang said the 14th Dalai Lama himself was chosen by following centuries-old religious rituals and history, which were “respected and protected” in rules and ordinances regulating religion. 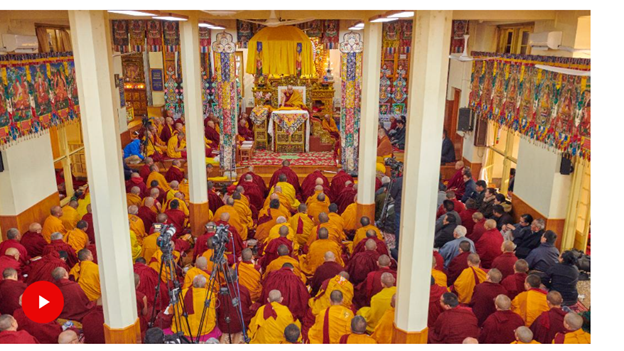 “Therefore reincarnations, including that of the Dalai Lama, should observe the country’s laws and regulations and follow the rituals and history of religion,” Geng said. Many of China’s more than 6 million Tibetans still venerate the Dalai Lama despite government prohibitions on displays of his picture or any public display of devotion. The Dalai Lama said contact between Tibetans living in their homeland and in exile was increasing, but that no formal meetings have happened between Chinese and his officials since 2010. Informally, however, some retired Chinese officials and businessman with connections to Beijing do visit him from time to time, he added. 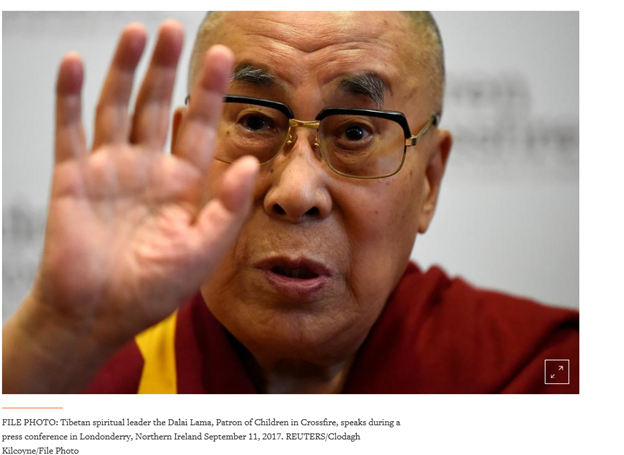 He said the role of the Dalai Lama after his death, including whether to keep it, could be discussed during a meeting of Tibetan Buddhists in India later this year. He, however, added that though there was no reincarnation of Buddha, his teachings have remained. If there is one, he would still have “ no political responsibility”, said the Dalai Lama, who gave up his political duties in 2001, developing a democratic system for the up to 100,000 Tibetans living in India. During the interview, the Dalai Lama spoke passionately about his love for cosmology, neurobiology, quantum physics and psychology. If he was ever allowed to visit his homeland, he said he’d like to speak about those subjects in a Chinese university. But he wasn’t expecting to go while China remained under Communist rule. The Dalai Lama was born to a family of farmers in Taktser, a village on the northeastern edge of the Tibetan plateau, in China’s Qinghai province. During a recent Reuters visit to Taktser, police armed with automatic weapons blocked the road. Police and more than a dozen plain-clothed officials said the village was not open to non-locals. God to reincarnate to defy the Chinese Rule over Tibet. I say God must reincarnate to defy the Chinese Rule over Tibet. 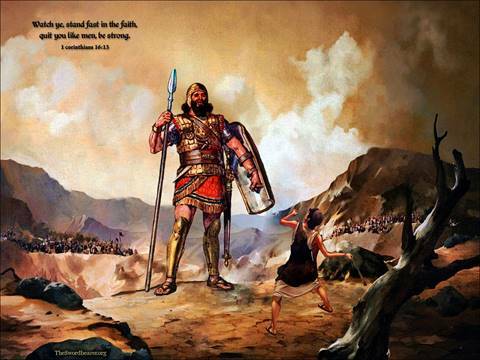 If not, I ask God to give me a few pebbles to knock down The Goliath. The Dalai Lama has warned of a possible “double reincarnation” with one from a “free country” after Beijing reiterated that his next incarnation must comply with Chinese law. The Tibetan Buddhist leader on Monday warned that a successor chosen by Beijing after his eventual death could not be trusted. 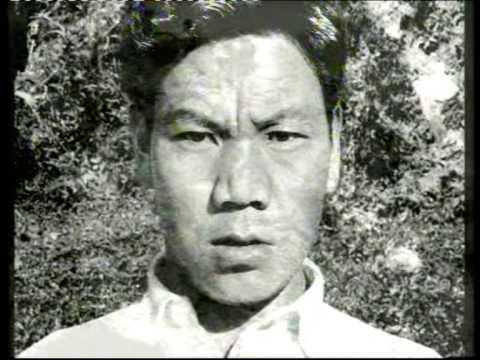 He said it is possible that his reincarnation could be found in India, where he has lived in exile for 60 years upon fleeing Tibet following a failed uprising against Chinese rule. “In future, in case you see two Dalai Lamas come, one from here, in a free country, one chosen by Chinese, then nobody will trust, nobody will respect [the one chosen by China]. “So that’s an additional problem for the Chinese! It’s possible, it can happen,” he told Reuters in an interview. China stated in response that its leaders have the right to approve the Dalai Lama’s successor. The selection process “must comply with Chinese laws and regulations,” according to Geng Shuang, a spokesman for the foreign ministry. Many Tibetans, who believe that the soul of a senior Buddhist monk is reincarnated into the physical body of a child upon his death, worry a successor chosen by Beijing will be under the thumb of the ruling Communist Party. 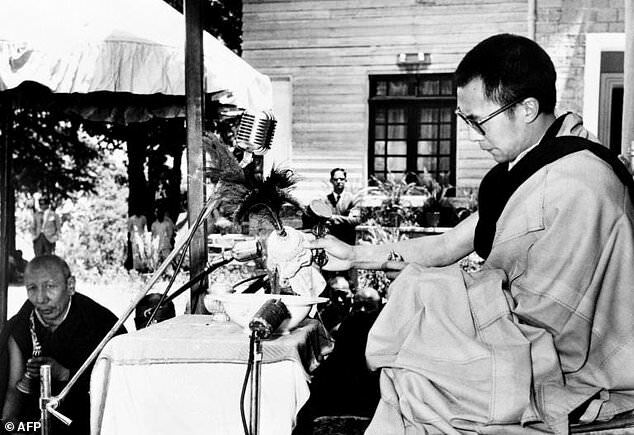 The current Dalai Lama was identified as the reincarnation of his predecessor when he was two years old. Now at 83, it’s getting harder for him to travel the world to boost awareness, and his influence is waning just as China’s is growing on the world stage. Beijing has recently cracked down heavily on religion under president Xi Jinping after the government vowed to “Sinicise” faith. The wave of repression has affected Muslims, Christians, and Buddhists. Beijing has previously co-opted the spiritual reincarnation process with a goal of bringing Tibetan Buddhism within party lines. In 1995, the Dalai Lama named a young Tibetan boy as the reincarnation of the previous Panchen Lama – the second highest in spiritual authority after himself. But the child was then put under what Chinese officials described as protective custody. Beijing put forth another successor and the Dalai Lama’s choice – then only six years old – disappeared from public. God must reincarnate to defy the Chinese Rule over Tibet. 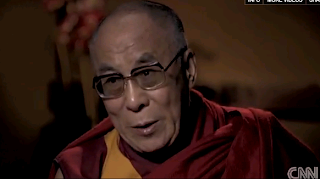 The Chinese government has sought to discredit the Dalai Lama. In February, Wu Yingjie, leader of a parliamentary delegation from Tibet, said that Tibetans didn’t love the Dalai Lama at all. Last May, Tashi Wangchuk, a Tibetan businessman, was given a five-year prison sentence by China for promoting the Tibetan language, based on comments made in interviews with the New York Times. The Tibet Autonomous Region, in China’s far west, is considered a homeland to many Tibetans and remains on lockdown. Travel in and out of the region is difficult, even for Tibetans. Foreign journalists cannot visit without government permission, and those requests are frequently denied. Chinese officials have said they are concerned this is out of concern that foreigners may find it difficult to acclimate to the high altitudes on the Tibetan plateau. The Dalai Lama’s Recollection: Prime Minister Nehru predicted that the Americans will not fight the Chinese Communists. As there was no other choice, India and Tibet agreed for the US covert assistance in the expectation that Americans will step up to fight the Communists sooner or later. 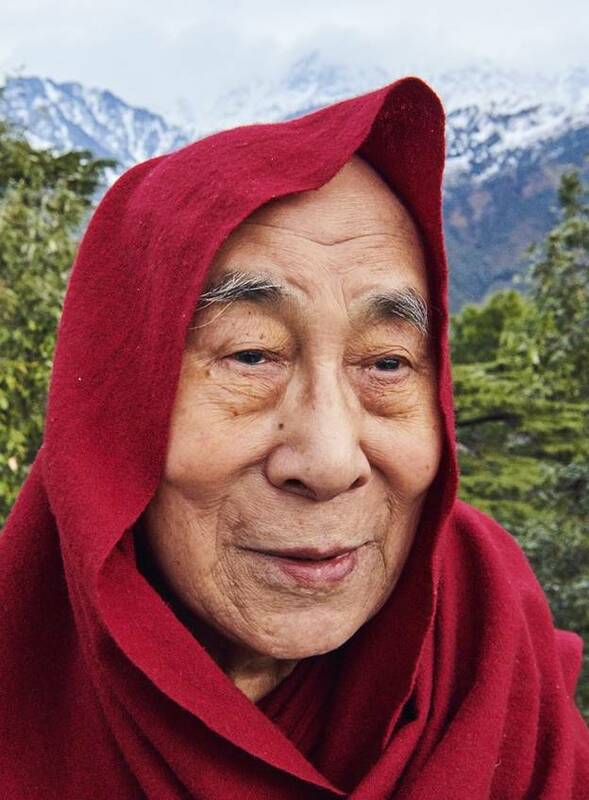 “[First Indian Prime Minister] Pandit Nehru told me, ‘America will not fight the Chinese communists in order to liberate Tibet, so sooner or later you have to talk with the Chinese government,’” the Dalai Lama recalls. The Supreme Ruler of Tibet is trapped in Exile since 1959. On Saturday, March 09, 2019 I want to remind my readers that the Supreme Ruler of Tibet is trapped to live in exile since 1959. In my analysis, both India and Tibet made a serious miscalculation. They hoped that the Americans will fight the Chinese Communists sooner or later. My concern is not about the Face of Tibetan Buddhism. I am talking about the Face of Tibetan Ruler. Morning has broken on the cedar-strewn foothills of the Himalayas. 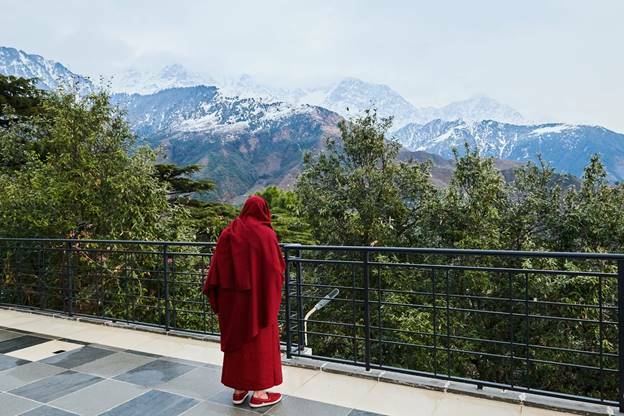 His Holiness the 14th Dalai Lama sits in meditation in his private chapel in Dharamsala, a ramshackle town perched on the upper reaches of North India’s Kangra Valley. Rousing slowly, he unfolds his legs with remarkable agility for a man of 83, finds the red felt slippers placed neatly beneath his seat and heads outside to where a crowd has already gathered. Around 300 people brave the February chill to offer white khata scarves and receive the Dalai Lama’s blessing. There’s a group from Bhutan in traditional checkered dress. A man from Thailand has brought his Liverpool F.C. scarf, seeking divine benediction for the U.K. soccer team’s title bid. Two women lose all control as they approach the Dalai Lama’s throne and are carried away shaking in rapture, clutching prayer beads and muttering incantations. His own has reached a critical point. The Dalai Lama is considered a living Buddha of compassion, a reincarnation of the bodhisattva Chenrezig, who renounced Nirvana in order to help mankind. The title originally only signified the preeminent Buddhist monk in Tibet, a remote land about twice the size of Texas that sits veiled behind the Himalayas. But starting in the 17th century, the Dalai Lama also wielded full political authority over the secretive kingdom. That changed with Mao Zedong’s conquest of Tibet, which brought the rule of the current Dalai Lama to an end. On March 17, 1959, he was forced to escape to India. Yet as old age makes travel more difficult, and as China’s political clout has grown, the Dalai Lama’s influence has waned. Today the Chinese Communist Party (CCP) that drove him out of Tibet is working to co-opt Buddhist principles — as well as the succession process itself. Officially atheist, the party has proved as adaptive to religion as it is to capitalism, claiming a home for faith in the nationalism Beijing has activated under Xi Jinping. In January, the CCP announced it would “Sinicize” Buddhism over the next five years, completing a multimillion-dollar rebranding of the faith as an ancient Chinese religion. 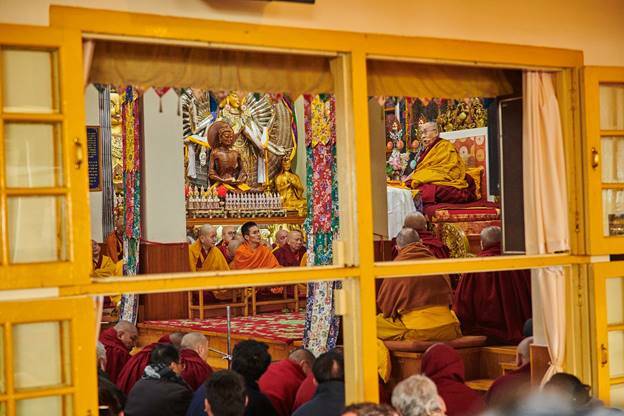 The Dalai Lama delivers a lecture from his throne on Feb. 18 to mark Losar, the Tibetan new year. From Pakistan to Myanmar, Chinese money has rejuvenated ancient Buddhist sites and promoted Buddhist studies. Beijing has spent $3 billion transforming the Nepalese town of Lumbini, the birthplace of Lord Buddha, into a luxury pilgrimage site, boasting an airport, hotels, convention center, temples, and a university. China has hosted the World Buddhist Forums since 2006, inviting monks from all over the world. Although not, of course, the world’s most famous. Beijing still sees the Dalai Lama as a dangerous threat and swiftly rebukes any nation that entertains him. That appears to be working too. Once the toast of capitals around the world, the Dalai Lama has not met a world leader since 2016. 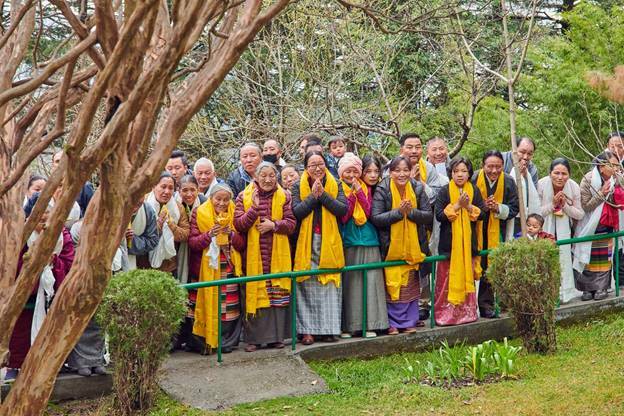 Even India, which has granted asylum to him as well as to about 100,000 other Tibetans, is not sending senior representatives to the diaspora’s commemoration of his 60th year in exile, citing a “very sensitive time” for bilateral relations with Beijing. Every U.S. President since George H.W. Bush has made a point of meeting the Dalai Lama until Donald Trump, who is in negotiations with China over reforming its state-controlled economy. Despite that, the CCP still regards the Dalai Lama as a “wolf in monk’s robes” and a dangerous “splittist,” as Chinese officials call him. He has rejected calls for Tibetan independence since 1974 — acknowledging the geopolitical reality that any settlement must keep Tibet within the People’s Republic of China. He instead advocates for greater autonomy and religious and cultural freedom for his people. It matters little. The boy born Lhamo Thondup was identified as the 14th incarnation of the Dalai Lama at just 2 years old, when a retinue of top lamas, or senior Buddhist Tibetan monks, followed a series of oracles and prophecies to his village in northeastern Tibet. The precocious toddler seemed to recognize objects belonging to the 13th Dalai Lama, prompting the lamas to proclaim him the celestial heir. At age 4, he was carried on a golden palanquin into the Tibetan capital, Lhasa, and ensconced in its resplendent Potala Palace. A daily routine of spiritual teaching by top religious scholars followed. The Dalai Lama was only supposed to assume a political role on his 18th birthday, with a regent ruling until then. But the arrival of Mao’s troops to reclaim dominion over Tibet in 1950 caused the Tibetan government to give him full authority at just 15. With no political experience or knowledge of the outside world, he was thrust into negotiations with an invading army while trying to calm his fervent but poorly armed subjects. The two-week journey to India was fraught, as Chinese troops hunted the party across some of the world’s most unforgiving terrain. The Dalai Lama reached India incognito atop a dzo, a cross between a yak and a cow. Every building in which he slept en route was immediately consecrated as a chapel, but the land he left behind was ravaged by Mao’s disastrous Great Leap Forward and Cultural Revolution. Hundreds of thousands died. By some reckonings, 99.9% of the country’s 6,400 monasteries were destroyed. Tibet’s desire to remain isolated and undisturbed had served it poorly. 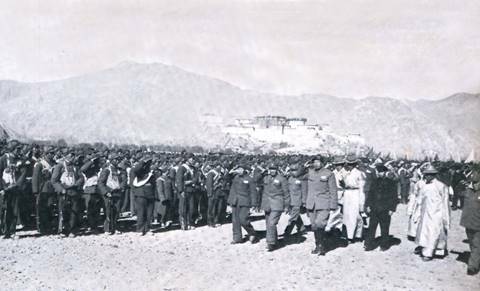 The kingdom had no useful allies, the government of Lhasa having declined to establish official diplomatic relations with any other nation or join international organizations. The Dalai Lama’s supplications were thus easy to ignore. Tibet had remained staunchly neutral during World War II, and the U.S. was already mired in a fresh conflict on the Korean Peninsula. Around 300 devotees line up early at Tsuglagkhang temple to offer the Dalai Lama traditional khata scarves and to receive his blessing. When Tibetans first followed the Dalai Lama into India, they lived with bags packed and did not build proper houses, believing a glorious return would come at a moment’s notice. It never did. Four decades of conversations between China and exiled Tibetan leadership have led nowhere. Consolatory talks began in the 1970s between the Dalai Lama’s envoys and reformist Chinese leader Deng Xiaoping and continued under Deng’s successor, Jiang Zemin. The talks stipulated that Tibetan independence was off the table, but even so, the drawn-out process was suspended in 1994 and after briefly resuming in the 2000s is again at a standstill. Beijing vehemently refutes accusations of human-rights violations in Tibet, insisting that it fully respects the religious and cultural rights of the Tibetan people, and highlights how development has raised living standards in the previously isolated and impoverished land. China has spent more than $450 million renovating Tibet’s major monasteries and religious sites since the 1980s, according to official figures, with $290 million more budgeted through 2023. The world’s No. 2 economy has also greenlighted massive infrastructure projects worth $97 billion, with new airports and highways carving through the world’s highest mountains, nominally to boost the prosperity of the 6 million ethnic Tibetans. This level of investment presents a dilemma for Tibetans stranded in exile. The majority live in India, under a special “guest” arrangement by which they can work and receive an education but, crucially, not buy property. Many toil as roadside laborers or make trinkets to sell to tourists. 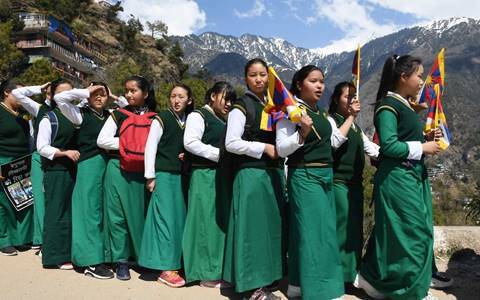 And so large numbers of young Tibetans are making the choice to return, lured to a homeland they have never known. “If you want a safe and secure future for your children, then either you go back to Tibet or some other country where you can get citizenship,” says Dorji Kyi, director of the Lha NGO in Dharamsala, which supports Tibetan exiles. At 83, the Buddhist leader reflects on a life spent away from his native Tibet. Tibet still has a government-in-exile, the Central Tibetan Administration (CTA) in Dharamsala, but it is dogged by infighting and scandal. Exiles are instead forging their own path. Last September, the Dalai Lama himself was filmed at his temple telling young Tibetans that it was better to live under Beijing’s rule than stay as “beggars” in exile. 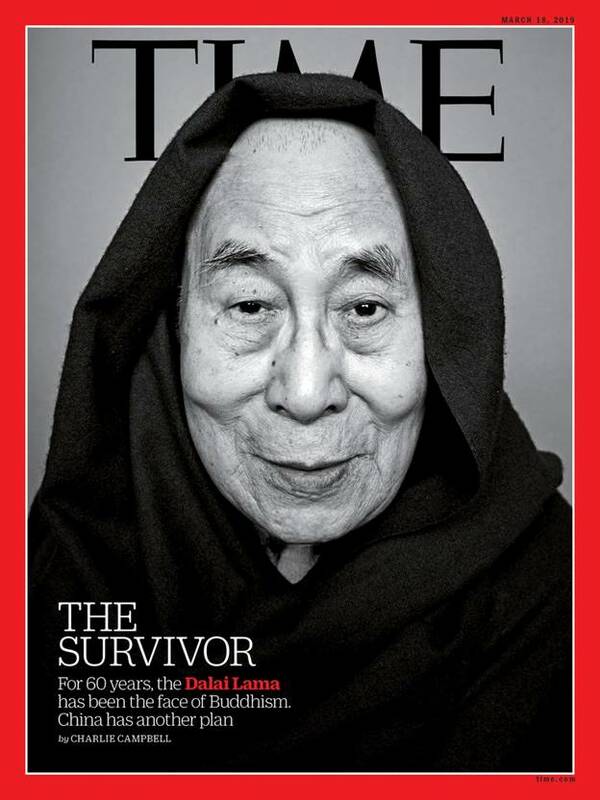 Speaking to TIME, he said it was “no problem” if exiled Tibetans chose to return to China. Even those who have achieved prosperity elsewhere are opting to return. Songtsen Gyalzur, 45, sold his real estate business in Switzerland, where his Tibet-born parents immigrated after first fleeing to India, to start China’s Shangri-La Highland Craft Brewery in 2014. 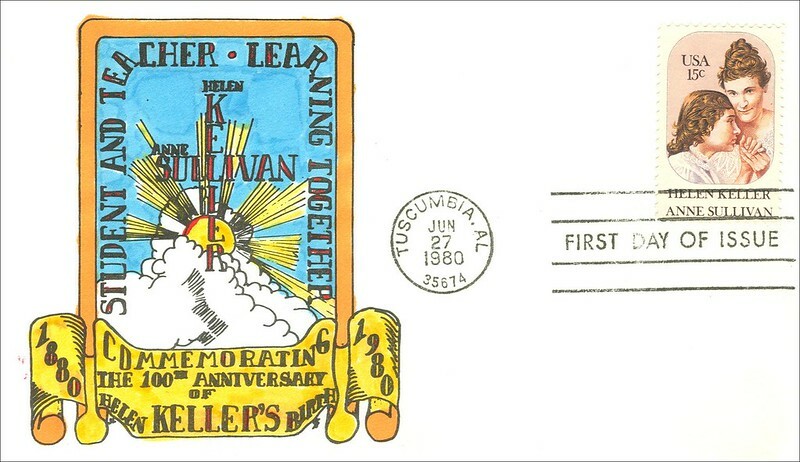 Today his award-winning brewery has an annual capacity of 2.6 million gallons of lagers, ales, and porters. He recruits 80% of the staff from orphanages his mother set up in Tibetan areas in the 1990s. “Tibet has so many well-educated, well-trained professionals abroad who could have a real impact on people’s lives here,” he says. Despite the “Lost Horizon” legend, the kingdom was never a spiritual and agrarian utopia. Most residents lived a Hobbesian existence. Nobles were strictly ranked in seven classes, with only the Dalai Lama belonging to the first. Few commoners had any sort of education. 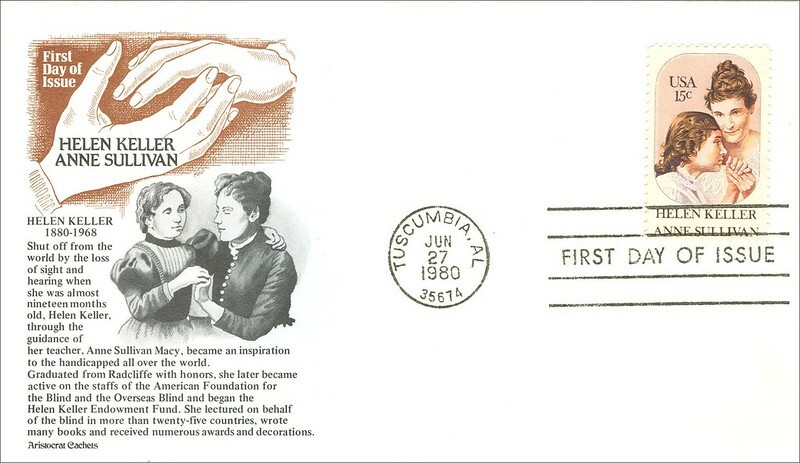 Modern medicine was forbidden, especially surgery, meaning even minor ailments were fatal. The sick were typically treated with a gruel of barley meal, butter and the urine of a holy monk. Life expectancy was 36 years. Criminals had limbs amputated and cauterized in boiling butter. Even the wheel wasn’t commonly employed, given the dearth of passable roads. The Dalai Lama has admitted that Tibet was “very, very backward” and insists he would have enacted reforms. But he also emphasizes that traditional Tibetan life was more in communion with nature than the present. Tibet hosts the largest store of fresh water outside the Arctic and Antarctic, leading some environmentalists to term its frozen plateau the “third pole,” and especially vulnerable to the choking development unleashed by the Beijing government. 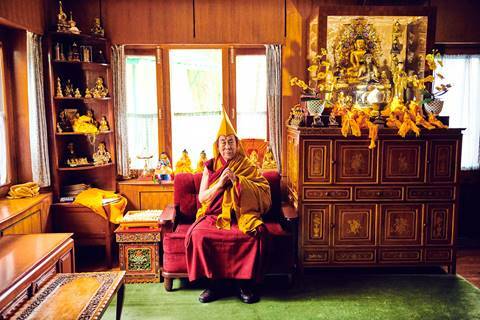 The Dalai Lama meditates in his private chapel inside his residence on Feb. 18. The Dalai Lama is a refreshingly unabashed figure in person. His frequent laughter and protuberant ears make him seem cuddly and inoffensive, and it’s difficult to overstate how tactile he is. He appears equally at home with both the physical and the spiritual, tradition and modernity. He meditated within reach of an iPad tuned to an image of a babbling brook and mountains and a few minutes later turned to Tibetan scriptures written on wide, single sheets, unbound. He retires at 6 p.m. and rises at 4 a.m. and spends the first hours of his day in meditation. The Dalai Lama said his second commitment is to religious harmony. Conflicts in the Middle East tend to involve sectarian strife within Islam. “Iran is mainly Shi‘ite. Saudi Arabia, plus their money, is Sunni. So this is a problem,” he says, lamenting “too much narrow-mindedness” and urging people of all faiths to “broaden” their thinking. He keeps a sharp eye on global affairs and is happy to weigh in. Trump’s “America first” foreign policy and obsession with a wall on the southern U.S. border make him feel “uncomfortable,” he says, calling Mexico “a good neighbor” of the U.S. Britain’s impending exit from the European Union also warrants a rebuke, as he has “always admired” the E.U. Six decades on, the Dalai Lama still hopes he will visit his birthplace again. 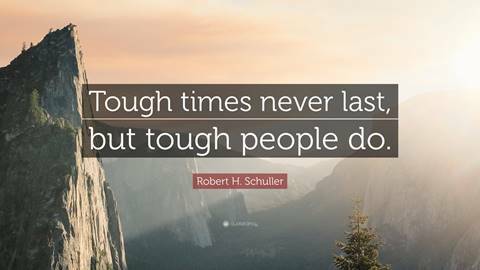 Indeed they are. In a blow to the Tibetan exile community, China has set about bringing the leadership of Tibetan Buddhism into the party fold. When the Dalai Lama named a Tibetan child as the reincarnation of the previous Panchen Lama in 1995 — the second highest position in Tibetan Buddhism after himself — China put the boy into “protective custody” and installed a more pliant figure instead. The whereabouts of the Dalai Lama’s choice remain unknown. No doubt the party’s desire to name a Dalai Lama stems from the fact that there are 244 million Buddhists in China — a cohort that dwarfs the CCP membership by 3 to 1. The party craves legitimizing its power above all else and believes yoking it to the institution of the Dalai Lama will provide that. But Beijing clearly also hopes it will be a symbolic final nail in the coffin of Tibetan self-rule, completing the absorption of Tibet into the People’s Republic of China that began seven decades ago. So in a twist of irony, it seems the incumbent God-King’s wish will eventually be granted. One day a Dalai Lama will return to China — in this body or the next, with his blessing or without. A photo caption in the original version of this story misidentified a group of people waiting to see the Dalai Lama. They are devotees, not Buddhist monks. 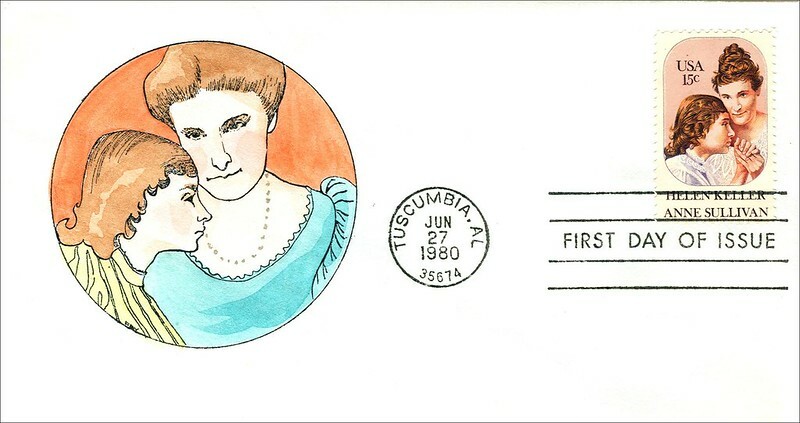 Write to Charlie Campbell at charlie.campbell. In Indian tradition, Soul is thought of as Divine Perfection while the Physical Being is subject to various imperfections like defects, deformities, and consequences of disease and aging. God is viewed as Male as well as Female. God is often worshiped as Mother and Father Principle. 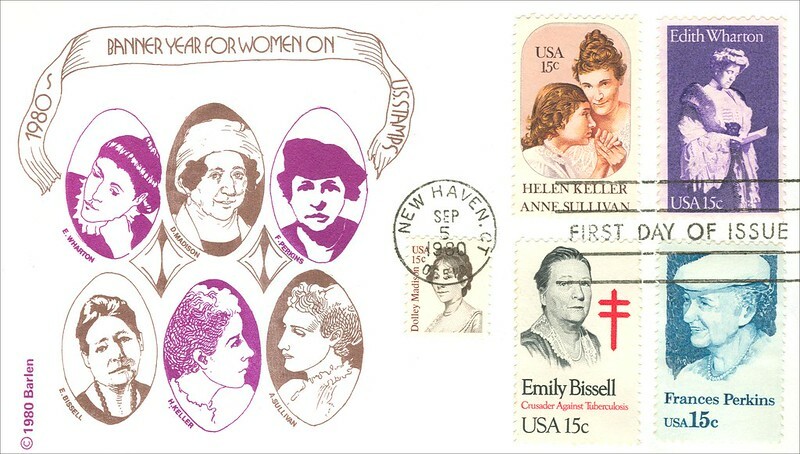 In my view, the celebration of International Women’s Day is not about empowering women. 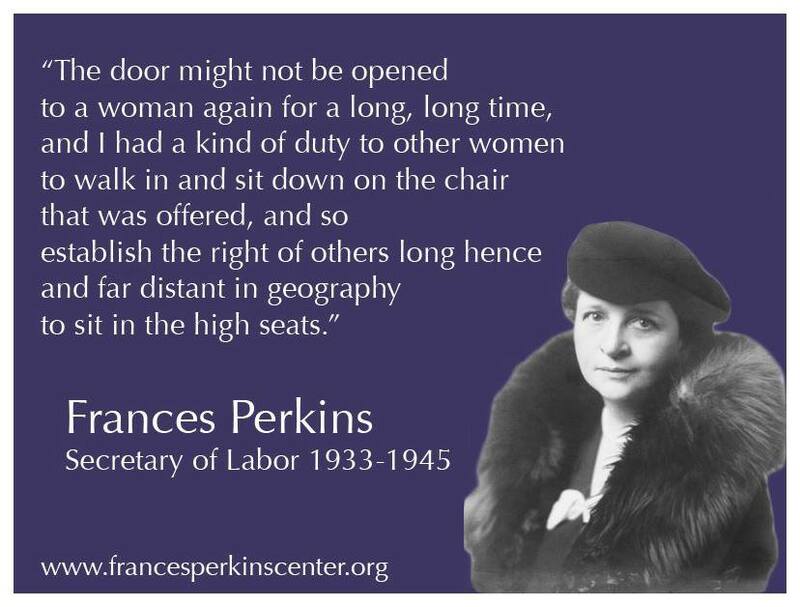 It is about recognizing Woman as the source of Life, Energy, and Knowledge that makes human existence possible. 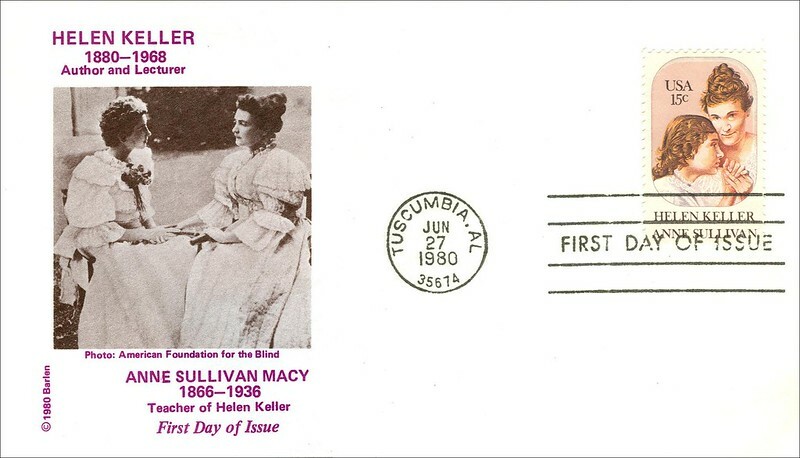 On this day in 1887, Anne Sullivan begins teaching six-year-old Helen Keller, who lost her sight and hearing after a severe illness at the age of 19 months. 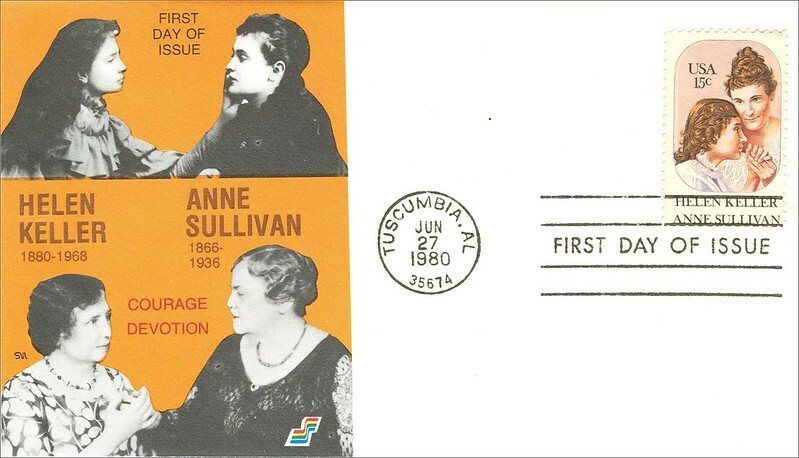 Under Sullivan’s tutelage, including her pioneering “touch teaching” techniques, the previously uncontrollable Keller flourished, eventually graduating from college and becoming an international lecturer and activist. 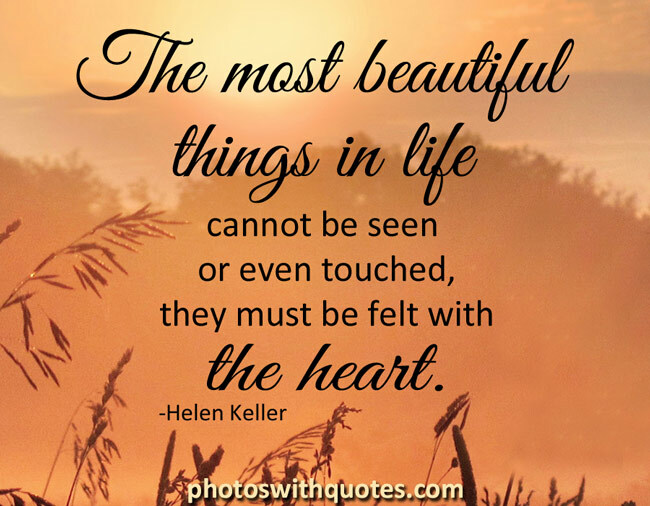 As a baby, a brief illness, possibly scarlet fever, left Helen unable to see, hear or speak. She was considered a bright but spoiled and strong-willed child. 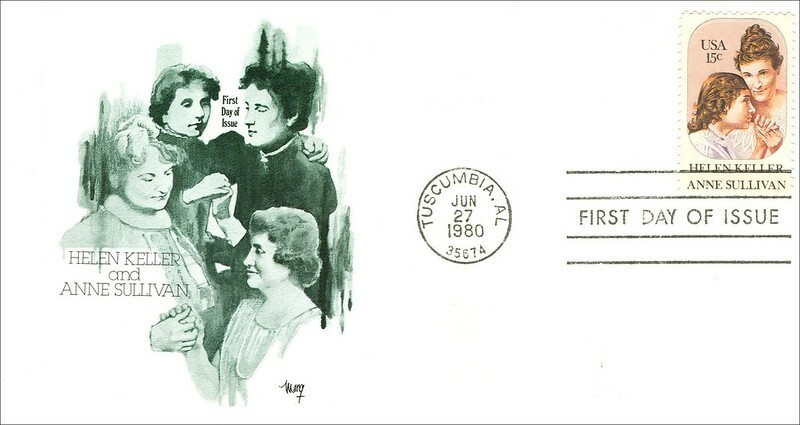 Her parents eventually sought the advice of Alexander Graham Bell, the inventor of the telephone and an authority on the deaf. 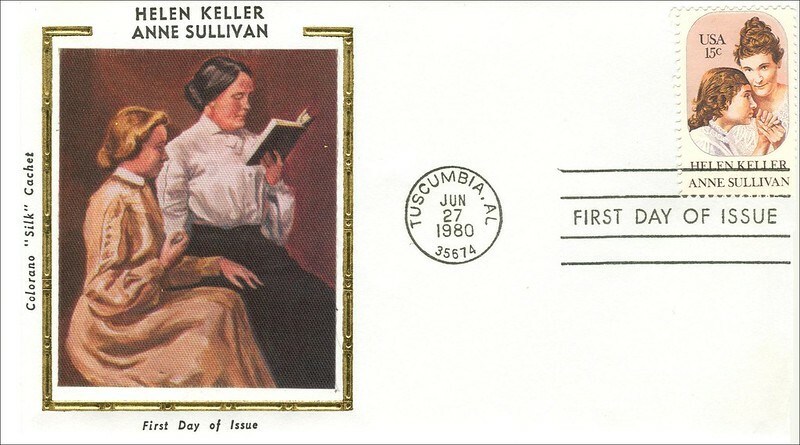 He suggested the Kellers contact the Perkins Institution, which in turn recommended Anne Sullivan as a teacher. 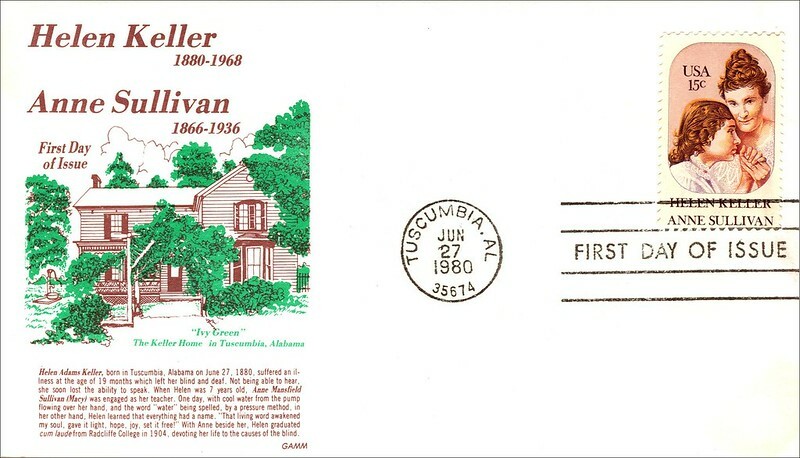 Sullivan, age 20, arrived at Ivy Green, the Keller family estate, in 1887 and began working to socialize her wild, stubborn student and teach her by spelling out words in Keller’s hand. 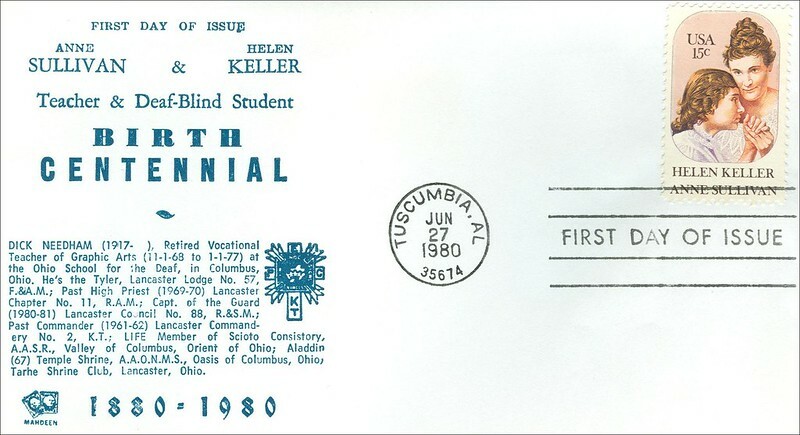 Initially, the fingerspelling meant nothing to Keller. 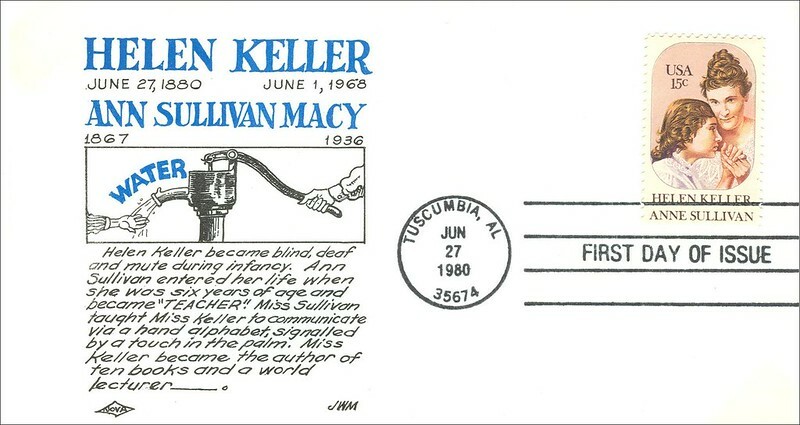 However, a breakthrough occurred one day when Sullivan held one of Keller’s hands under water from a pump and spelled out “w-a-t-e-r” in Keller’s palm. 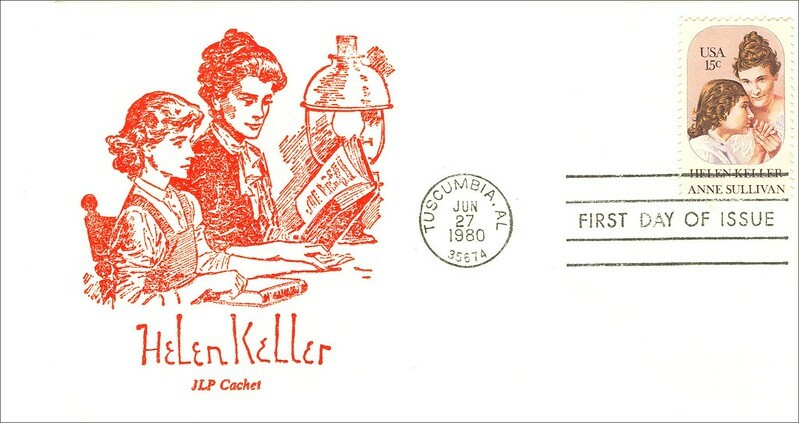 Keller went on to learn how to read, write and speak. 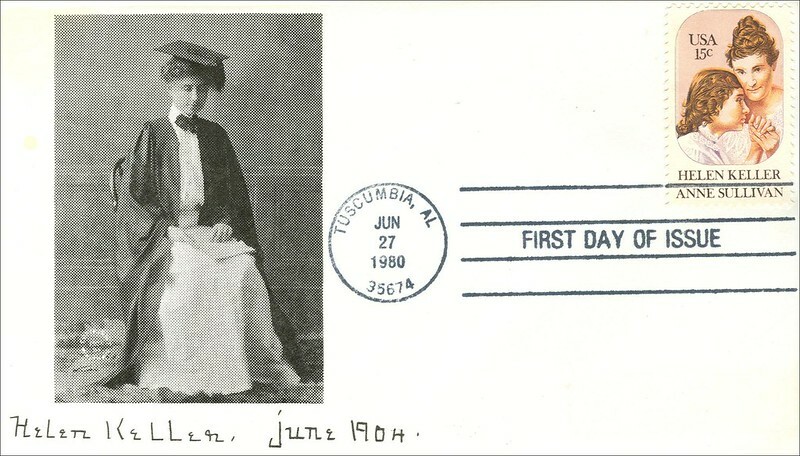 With Sullivan’s assistance, Keller attended Radcliffe College and graduated with honors in 1904. 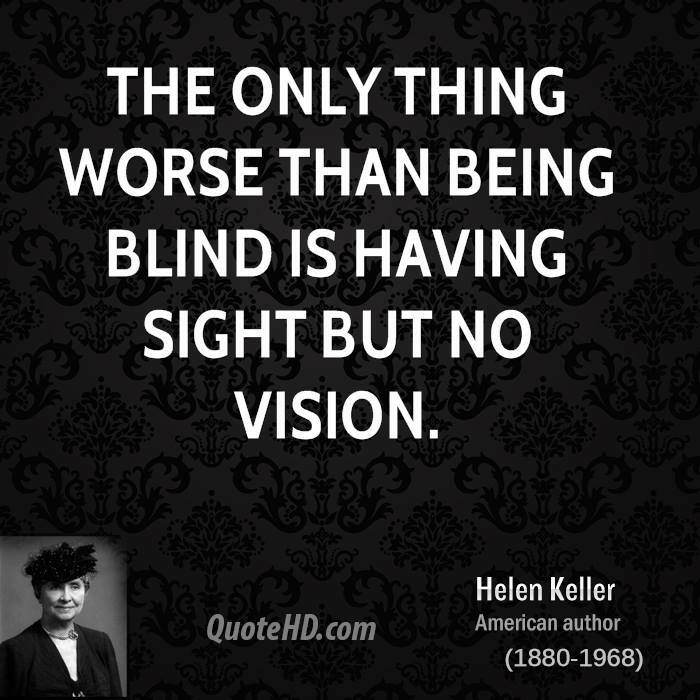 Helen Keller became a public speaker and author; her first book, “The Story of My Life” was published in 1902. She was also a fundraiser for the American Foundation for the Blind and an advocate for racial and sexual equality, as well as socialism. 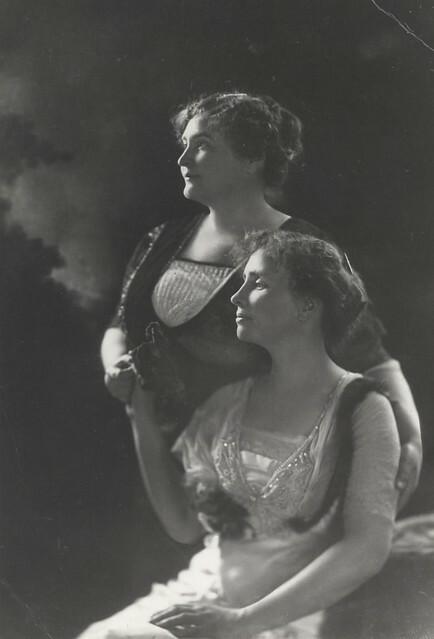 From 1920 to 1924, Sullivan and Keller even formed a vaudeville act to educate the public and earn money. 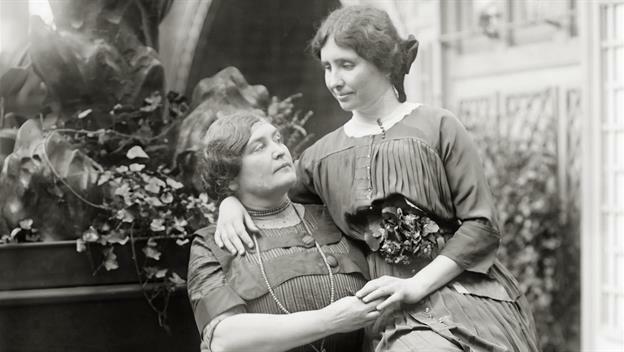 Helen Keller died on June 1, 1968, at her home in Westport, Connecticut, at age 87, leaving her mark on the world by helping to alter perceptions about the disabled. © 2016, A&E Television Networks, LLC. All Rights Reserved. 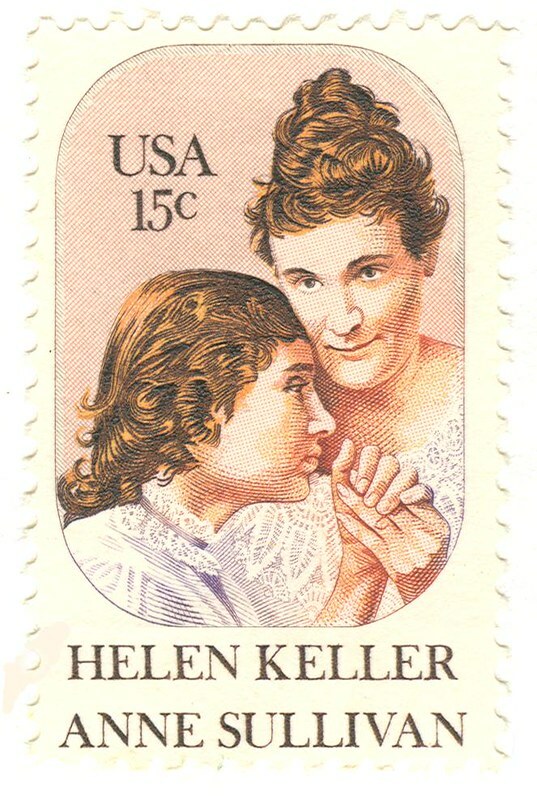 International Women’s Day Tribute to Helen Keller and Her Miracle Worker Anne Sullivan for Finding “Usefulness of Whole Souls in Imperfect Bodies.” Stamp issued in 1980.
International Women’s Day Tribute to Helen Keller and Anne Sullivan. Perfect Souls in Imperfect Bodies. 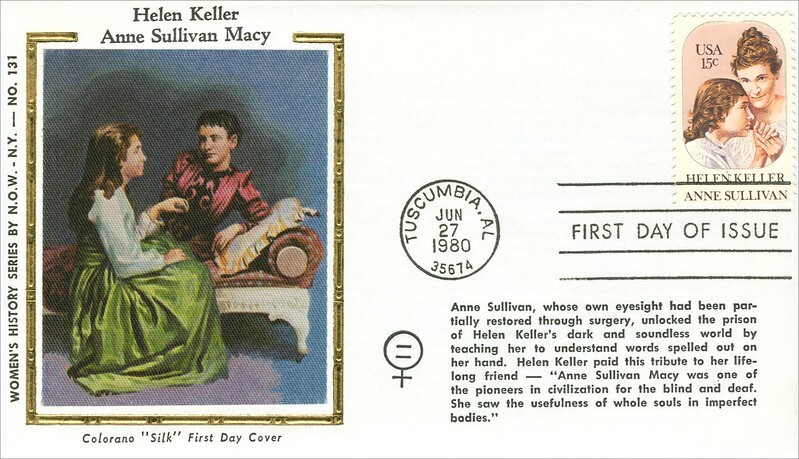 International Women’s Day Tribute to Helen Keller and Anne Sullivan Macy. Perfect Souls in Imperfect Bodies. #March08 #InternationalWomensDay #HappyInternationalWomensDay #Liberated #RaiseHands #PraiseTheLORD EXPRESSION OF JOY FOR PERFECT SOUL AND PERFECT BODY. PRAISE THE LORD WITH UPLIFTED HANDS. Friday, March 08, 2019. Balance For Better. International Women’s Day. Tibet Awareness. Red China a Liar. Red China’s military invasion and occupation of Tibet is illegal, and it has nothing to do with Tibetans support for the Dalai Lama. Red China has no justification for her Tyranny, Oppression, and Suppression of Tibetan Freedom. There is no widespread support for the Dalai Lama in Tibet and ordinary people are grateful to the Communist Party for “bringing them a happy life”, Chinese officials insisted Wednesday. This week marks the 60th anniversary of a failed uprising which led to Tibet’s Buddhist spiritual leader, the Dalai Lama, fleeing into exile in India. Beijing — which claims it “peacefully liberated” the Himalayan area — stands accused of political and religious repression in the region. But China insists that Tibetans enjoy extensive freedoms and argues it has brought economic growth. “Since defecting, the Dalai Lama has not done a single good thing for the Tibetan people,” Tibet party boss Wu Yingjie said during a meeting at the sidelines of China’s annual parliamentary meeting. At least 150 Tibetans have set themselves on fire since 2009 to protest Beijing’s presence in Tibet, most of whom have died from their injuries. China had reached out to the Dalai Lama in 2002 to negotiate but after nine rounds of dialogue that lasted through till 2010, many believed that Beijing was intentionally dragging on pointless talks, hoping international pressure over Tibet would end with the passing of the Dalai Lama. At 83, the Nobel Peace Prize winner enjoys rapturous crowds around the world. Many Tibetan Buddhists fear Beijing may seek to impose their choice of spiritual leader after the Dalai Lama’s death. It is unclear how, or even whether, his successor will be named — the centuries-old practice requires senior monks to interview sometimes hundreds of young boys to see whether they recognize items that belonged to the Dalai Lama and pick one as a reincarnation. But the 14th Dalai Lama announced in 2011 that he may be the last, seeking to preempt any attempt by China to name its own successor. China’s officially atheist Communist Party has repeatedly said it has the right to control the process of reincarnation. Life in Shadows of the US, India, and Tibet Relations. I profoundly regret living my life in Shadows of the US, India, and Tibet Relations. I cherish the values of Freedom and Democracy. However, it will be an utter mistake to promote these values using undercover operations. Freedom is not about living life under the dark Shadows of Secrecy. If Democracy is about Transparency and Public Accountability, no democratically elected government should make use of Covert Operations to oppose the Tyranny and Despotism of the One-Party Communist Rule. 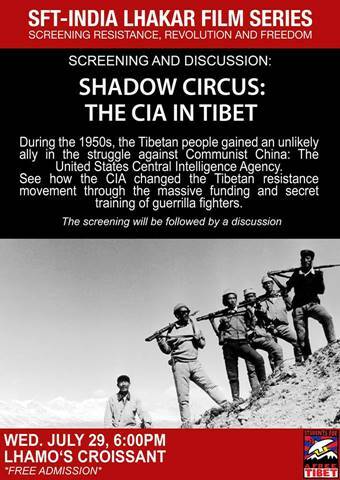 Life under Shadows of the US, India, and Tibet Relations. 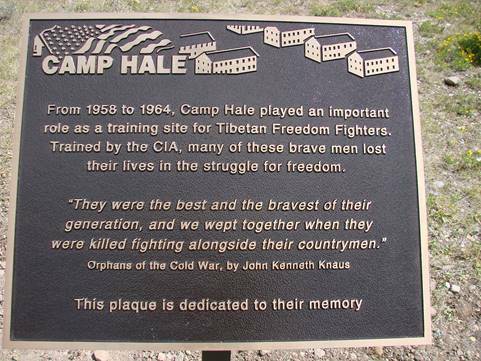 Between 1957 and 1969 the CIA armed, financed, and helped train Tibetan guerrillas who operated first inside Tibet, and later — after the Dalai Lama’s escape to India in 1959 — from a base in Mustang, a remote corner of northwestern Nepal. This project, code-named ST Circus, was one of the CIA’s longest-running covert operations. The withdrawal of the CIA’s support in 1969 was as abrupt as its initial involvement was unexpected. WHOLE ANGEL – WHOLE HARMONY, Blog at WordPress.com.